Book trading. Does anybody else remember doing this? As a young teenager, I didn’t have a whole lot of cash. I mowed lawns in the summers, and had a paper route for a while, and worked for a very short while in the shrimp camps down in Kemah, Texas. But money was still short. I couldn’t just skip over to the bookstore and buy an armload of books, even if it was 1983 and most of my favorite stuff was coming out in mass market paperback and selling for $1.25. I do remember skipping lunch for days on end, saving my lunch money to buy the books of Robert McCammon and Stephen King. But even then, there was a limit to what I could buy. And there was most definitely a limit to what my school library had available. So I turned to my friends. 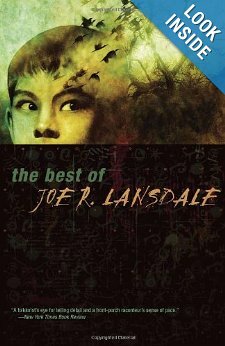 We developed a sort of fiction underground, trading paperbacks amongst ourselves the way some kids traded baseball cards. I’ll give you three of my Guy N. Smith giant crab novels for that James Herbert you’ve got there, I remember myself saying. To which I got: No way. Give me that Charles Beaumont collection and I’ll give you the collected stories of Ambrose Bierce. That was a snapshot of my teenage years. My education, if you will. 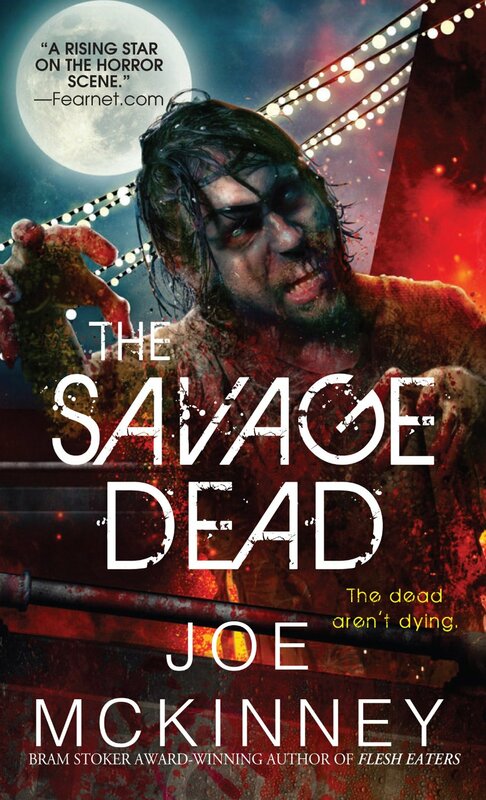 And it was just such a shared history that convinced me I had to include today’s guest in my countdown to the September 3, 2013 release of my next zombie novel, The Savage Dead, Ms. Monique Lewis Happy. You see, when she was a young girl, her parents took her out of school and set out for a three-year trek across the world’s oceans in a 40 foot Newporter called The Caprice. They dragged all over the globe, and the main source of her education during that time was the limited collection of paperbacks her father stowed aboard. These included John D. MacDonald and J.R.R. Tolkien, to name but a few. Not a bad start for a tike, but hardly a complete education. Sensing as much, Monique began to trade paperbacks with other boats she’d meet on her way. And so her education grew. Much as my own did. Hearing that story I felt an instant kinship with her. 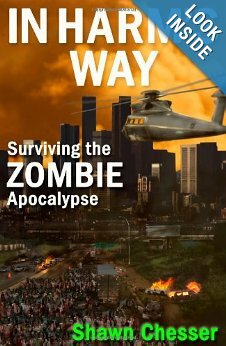 I thought Monique’s unique role in the zombie genre might provide an interesting turn on the whole zombie conversation, and so I am pleased to bring you Ms. Monique Lewis Happy, editor-in-chief of zombie mayhem. Joe McKinney: Thanks for joining me here on Old Major’s Dream. I’m glad you could swing by. You’re no stranger to zombie fiction. Would you mind telling the folks out there a little about your zombie-related projects? How do you approach the genre? 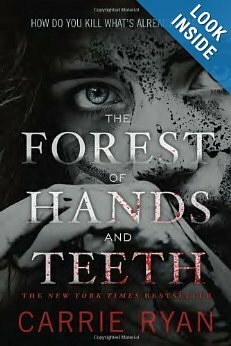 Monique Lewis Happy: Well, actually I’m not a zombie writer, or at least not a published one. I’m a zombie editor. I’ve always been a huge fan of the zombie genre. 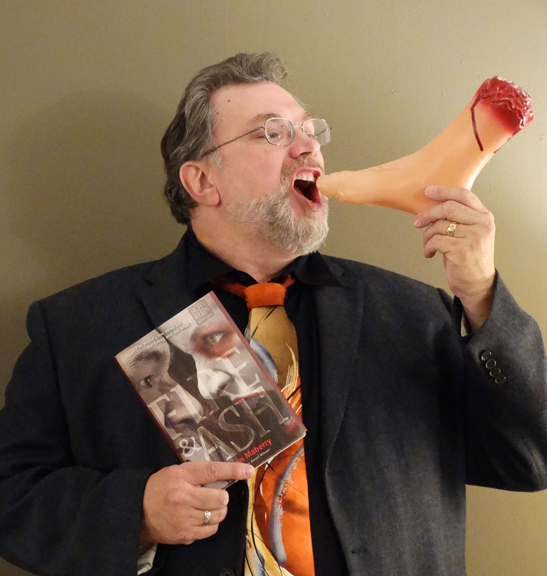 In 2010, I read the beginning of a new zombie series by Mark Tufo, and liked it so much I went on his blog to introduce myself and tell him how much I loved it. We became friends on Facebook. One day he gave a shout out to his fans, and asked if anyone wanted to review and edit his latest book. I volunteered, having been a legal secretary for over 25 years. I felt confident that I could do a good edit, plus I was dying to read his next installment on the series! I did that first book for fun and for free, and he liked my work so much he hired me. That gave me the courage to begin my own editing services, and I’ve been going strong ever since. I’ve had the privilege of working with some other really stellar indie authors such as Robert DeCoteau, who has some great books out there, and G.R. Mountjoy, who has written an intense military zombpocalypse series. Most recently, I’ve been working steadily with Shawn Chesser (who’s a great guy, by the way — I’ve really enjoyed working with him), and my newest client, Sean Liebling, who is a kick in the pants and has begun a new series entitled Blood, Brains, and Bullets. Not for the faint of heart! It’s been very exciting to work with all of these authors because of the experience and knowledge which they bring to the table. These guys really know what they’re talking about. I’ve learned so much about weapons systems and nomenclature. And they are writing really good stuff. They are revitalizing the zombie genre, along with other great authors like John O’Brien, J.L. Bourne, Joe Talluto, Shane Gregory, and yourself, of course! I seriously think that the majority of mankind will be snuffed out in the first few days. The Preppers will probably outlast us all, and good for them! I can only hope to make it long enough to hook up with a group of people and make it to a safe enclave. MLH: I know you’ve heard this before, but I’m a huge fan of ANYTHING that George Romero has had a hand in. My favorite zombie movie is probably Dawn of the Dead (the original, although I enjoyed the remake), followed by Shaun of the Dead. Next in line on my faves list is Day of the Dead (by Romero) and Zombieland. I can watch Zombieland over and over again. Especially the final scene with Bill Murray. MLH: The fight scene in the bar in Shaun of the Dead, when Queen is playing on the jukebox. I just watched it again and couldn’t stop laughing. Zombies and campy humor. Good stuff right there. MLH: Personally, I love to lose myself in the world of the apocalypse. It’s not just about the drastic climate change or zombie virus or whatever else brought about the end of the world. It’s about the human spirit, our survival instinct, our true characters that come out when all that counts is where our next meal comes from and what we are willing to do to live one more day on this earth. I think the current popularity stems from a desire to have a “do over” – to wipe away the old, material ways that are so clearly not working and begin anew with just the basics. To even out the playing table, so to speak. It’s very appealing to a lot of people.